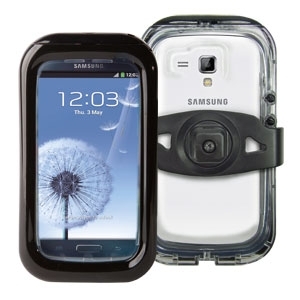 Product information "Rixen & Kaul KLICKfix Aricase for Samsung S3/4"
Protects your smartphone from weather, sand and dust. Always ready for use and well protected. Aricase is made out of silicone and secured with the quad adaptor. Easy rotation from vertical to landscape mode possible. Related links to "Rixen & Kaul KLICKfix Aricase for Samsung S3/4"
Customer evaluation for "Rixen & Kaul KLICKfix Aricase for Samsung S3/4"